På fitnessmusicshop.com använder vi kakor (cookies) för att webbplatsen ska fungera på bästa sätt. A great tool for your Pilates classes, this weighted fitness ball features a soft vinyl covering for superior grip. 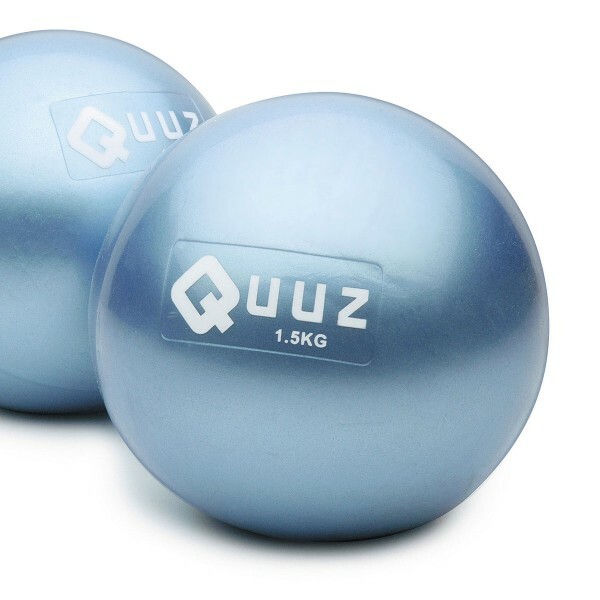 Great for all fitness levels, the weighted ball is available in 4 different weights (0.5, 1.0, 1.5 and 2.0 kg). Each ball sold separately. The soft weighted medicine balls are designed for strengthening, balance training and plyometrics. Soft weighted medicine balls can be used in rehabilitation, incorporated into core or Pilates routines, as well as aerobic classes. Durable non-bouncing design supports one or two handed activities and will lower risk of injury or damage if the ball is dropped.